Jose Cuervo is a brand of tequila produced by Tequila Cuervo La RojeÑa. According to the company, Jose Cuervo, in 1795, was the first producer of tequila in the world. As of April 2012, it is the largest selling tequila brand in the world, with a 19 per cent volume share of the global market. 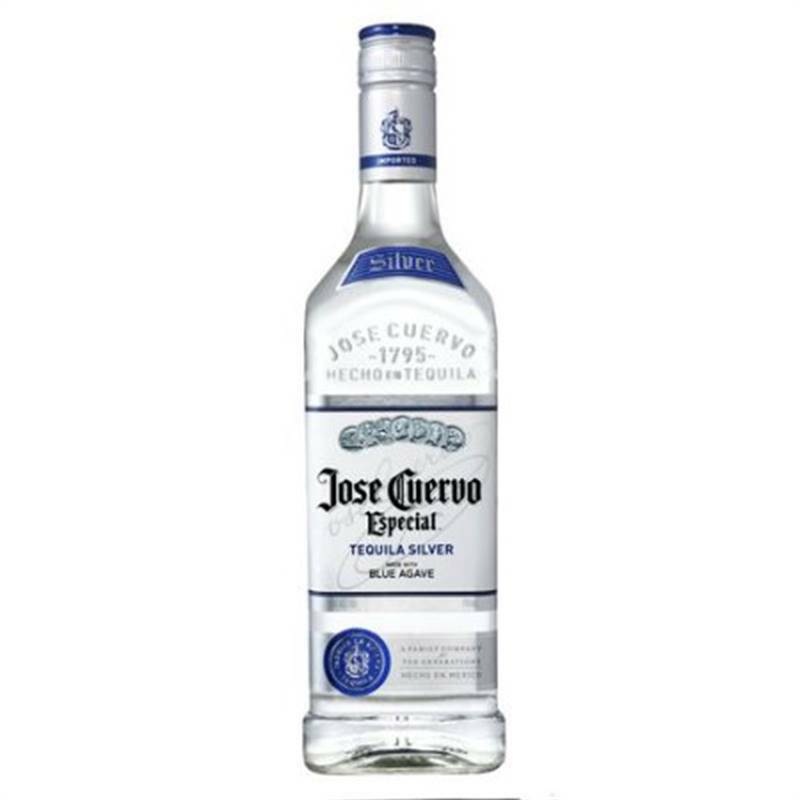 Jose Cuervo Tequila (38-40% Alc) is very smooth and bottled immediately following distillation and has a pleasant balanced aroma combining spicy black pepper and hints of agave. Its taste perfectly balances a mixture of sweetness and acidity, complemented by black pepper notes on the palate. Its a tequila to easily be friends with, it invites you to easily mix. It has no burn and the taste is very clean with said blackpepper notes adding a subtle freshness, this is well suited for drinking neat in a cold shot and that`s how its promoted. As the Cuervo silver doesn`t have any additive flavors from barrels or fruits its a very basic clean tequila flavor with that note of fresh blackpepper and agave thus lending itself well as a base spirit for mixed cocktails. Uncomplicated, clean tasting, it deserves a place on the shelf as an everyday tequila.